Yes, we will be taking a look at what's new in the app stores and taking notes on what's interesting and download-worthy. As always, if we happened to miss a new app, which you believe is worth mentioning — sound off in the comments section below! 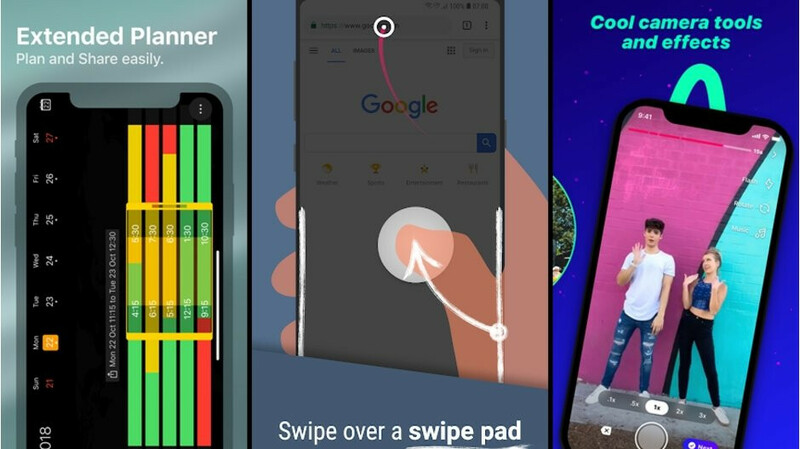 This month around, we have Yahoo's new pop culture app, a couple of cool utility apps for Android, Facebook's new Vine-wannabe app, a new app to help you meditate, and a bunch of new synths for iOS musicians. Let's check them out! 1. Over (" target="_blank">Android)— this app is full of templates to help you in making your own logos, adding dext to your photos, creating collages, and so on. If you have a Facebook page to manage or any other business social media where you need to keep engagement up, this app lets you make cool posters straight on your phone and share them. 2. Visionist (iOS) — remember apps like Prisma and Lucid? The ones that would apply a filter and turn a picture into a drawing-like image? Well, Visionist is one of these apps, a bit late to the trend. What sets it apart is that you can mix two different filters together to achieve new and unique results. Yahoo Play (Android) — Yahoo's new app is dedicated to pop culture. You can use it to get the latest gossip, see what's hot today, or even play some trivia when bored. 1. easyUp (iOS | Android) — starting the day with a quick group meeting where everyone discusses their goals and challenges for the day is a cool and productive thing. But, in the era of wireless, teams are often scattered all around the globe. easyUp is an app specifically made for daily standup meetings. It's asynchronous, meaning you record a short clip with your message and other members can view it later. That way, anyone can have a morning meeting... whenever morning hits their part of the world. 2. 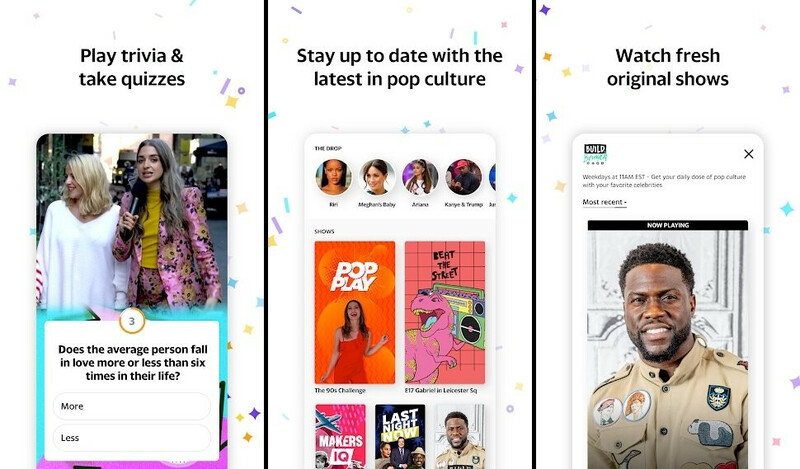 Lasso (iOS | Android) — developed by Facebook, this is a short video app, much like now-defunct Vine and current hit Tik Tok. Record yourself lip syncin, speed up or slow down footage to create chipmunk or epic effects, tag and look for hashtags, et cetera. Let's see how this one will do. Rivet (iOS | Android) is an app that helps kids learn to read. With more than 1,500 free books inside, lots of colorful pictures, and big, inpactful text, it's a fun and easy time. 1. Reachability Cursor (Android) — phones are getting taller nowadays, eh? Reachability cursor will try to help you operate your huge phone with just one hand. When activated, the app puts a trackpad in the bottom portion of your display. A small mouse cursor pops up and you control it via the trackpad to help yourself reach stuff. 2. Inware (Android) — a device spec app that will help you get to know your phone from the inside out. What kind of hardware are you rocking? What version of Android did the phone ship with? Does it support Treble? What exactly is that display's resolution? These and more questions get answered when you open Inware. 3. The Clock by seense (iOS) — a beautiful clock app that syncs with your contacts and helps you set up meetings and keep track of everyone's timezone. The app syncs with The Clock for Mac, so you get full HandOff support. 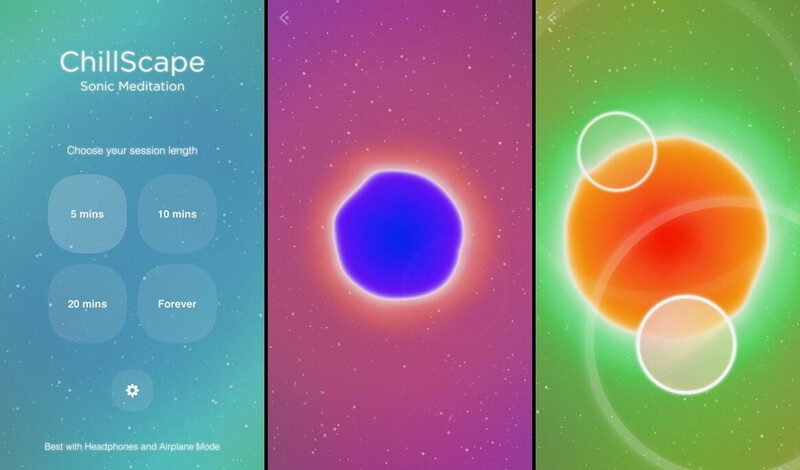 ChillScape (iOS) provides calming tunes and mesmerising animations meant to assist you in getting back to the present, meditating for a bit, and regaining your mindfulness. 1. Loopfield (iOS) lets you record any sound from the world around you and turn it into a usable sample straight from the app. 2. Mellowsound (iOS) is an iOS synth modeled after the legendary Mellotron. 3. Kleverb (iOS) is an algorithmic reverb effect with tons of filters to play with. 4. Ruismaker Noir (iOS) is a drumsynth that mixes drums with dirty bass sounds for some quick rhythm lines. 5. Stagelight (iOS | Android) is a DAW, which supports multi track recording and MIDI. It's build for mobile from the ground up and is a free download, so worth a try. 6. Discord4 (iOS) models vintage delay and echo machines in true stereo. It has a few modes of work and is a great toy for iOS musicians.